After Hadley’s best friend moves away and she gets on the bad side of some girls at school, she goes to spend the summer with her grandparents in the Lake Michigan resort town of Grand Haven. Her next door neighbour is none other than teen TV star Simone Hendrickson, who is everything Hadley longs to be - pretty, popular, and famous - and she’s thrilled when Simone treats her like a friend. Is this really what it’s like to live… Next Door To A Star? 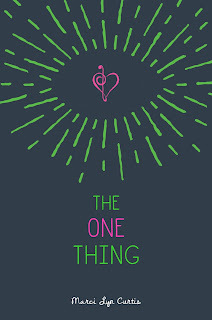 I seem to have read a glut of books featuring a normal person falling in love with a celebrity recently - see my reviews of The One Thing, Finding Flynn, Zaryk and Jesse's Girl - so I had quite high hopes for this book. I knew this one was different to all the others, because here the main character wants to befriend the celebrity rather than falling in love with them. So therefore I was looking forward to seeing the same kind of premise explored in a slightly different way. Unfortunately, I was left disappointed. Don't get me wrong, I love YA - it's probably my favourite genre. But this type of YA? Not so much. The main character was an annoying, whiny girl who complained about everything and was never satisfied. She was selfish and self-absorbed, and didn't seem to mind hurting other people to get her own way. The rest of the characters weren't much better either. Simone, the eponymous star next door, was equally annoying, and even more self-absorbed. The boys were childish and immature stereotypes, Morgan and the rest of the 'mean girls' were just downright irritating. The only decent characters were Charlotte and Asia. Charlotte was sweet, real, and charmingly childlike. She didn't care about fitting in with the popular girls and wasn't afraid to be different, which was a refreshing island in a sea of stereotypical drama. Asia's winning point was her character development. Throughout the course of the book she went from being one of Simone's cronies, to Morgan's BFF, then finally ended up as herself. The part where the girls helped set up Hadley's doll's house was one of my favourite extracts from the book, because it showed that no matter how hard they try to grow up, they're still kids at heart. The plot was another disappointment, simply because it didn't really go anywhere. Sure, stuff happened, but there were no major plot points and nothing that made me have to keep reading. To be honest I got kind of bored about halfway through and only continued reading because I don't give up on books. It was just too childish, with too much irritating teen drama, and it wasn't interesting enough for me. Also, is it just me, or does anyone else think the cover star really looks like Jennifer Lawrence? Next Door To A Star is available to buy now. 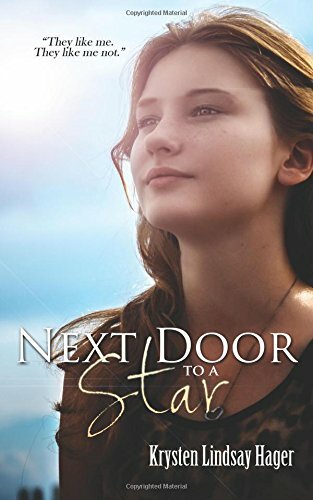 Will you be reading Next Door To A Star? Let me know in the comments below! Sky has one more chance to make her happily-ever-after happen, and the only thing that could stop her is the perfect man standing by her side. Since she was a child Sky Fischer has known she’s destined to marry her next door neighbour Kevin, but he hasn’t realised it - yet. This Fourth of July, Kevin’s back in town and Sky’s found a brilliant way to get his attention. She’s brought co-worker Boone along to act as her boyfriend. But Kevin is oblivious, her brothers are determined to chase away her suitors, and worst of all, Boone might be a little too perfect for his role. What if the future she’s been planning isn’t right for her? I've never been to Montana. I've never experienced Fourth of July celebrations. I've never even been to America. Yet having read this book, I feel as though I've done all those things. The story is set in the fictional Willow, one of those stereotypical small American towns that literature seems to love. Coming from an entirely different background, the whole concept of knowing everyone in your town and all coming together for holidays is completely alien to me. Over here we nod politely to our neighbours and maybe exchange small talk on occasion, but apart from that we maintain our distance and live our lives privately because we're British, dammit. Still, Bruner has managed to capture the essence of what I imagine small town life to be like. 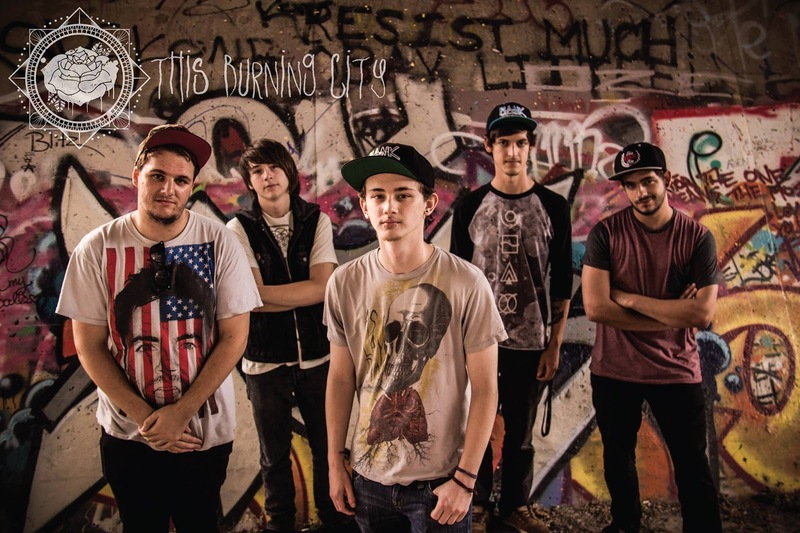 The whole town is like one big extended family, and everyone has a sense of belonging. I can just picture celebrating the Fourth of July in a town like Willow, where everyone comes together and joins in to enjoy the holiday together. Fireworks, dancing, and cowboys abound, yet in the middle of it all is Sky. As a main character, Sky is good. But she's also really, really blind to what's right in front of her. The basic premise is that Sky wants to get with Kevin (her childhood crush), so she brings along her co-worker Boone to make Kevin notice her and get jealous. I found that a bit weird in itself (what good would a fake boyfriend do?) but I was willing to accept it. All's well and good till we meet Kevin. In short, Kevin's a douche. He's a slimy salesman with an alcohol problem and no respect for women. But, of course, Sky can't see that because she's still hung up on the star receiver and MVP that he used to be. On the other hand, Boone is Kevin's polar opposite. He's a computer geek with a penchant for long bike rides, who - shock, horror - is actually a really sweet guy. So what happens? Sky spends the entirety of the story chasing after the wrong man while the right man is under her nose. That should be endearing, but in reality it's just kind of frustrating. It was a case of the sooner she realised, the better, in my opinion. And unfortunately it took far too long to get there too. 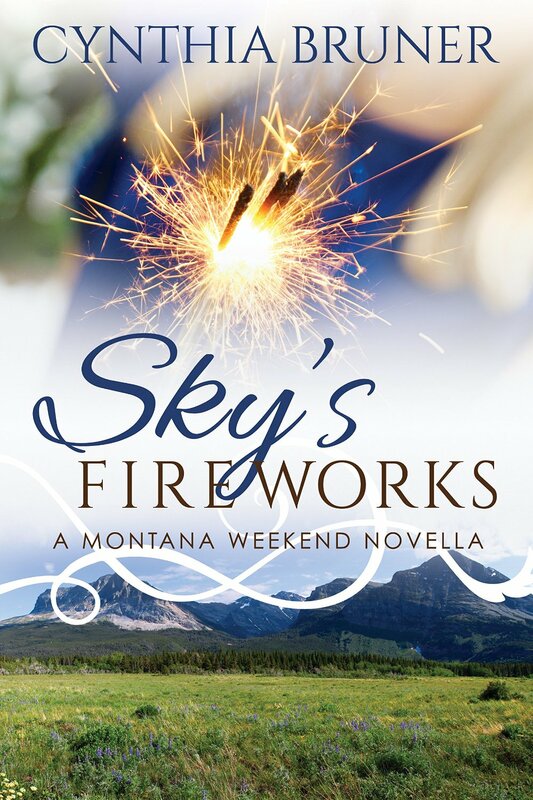 I should also mention that Sky's Fireworks is a novella, so if you're looking for a more substantial read this probably isn't the book for you. Still, I read it over two days, so it's perfect for a light-hearted summer story. I just wish I'd had the opportunity to read it back in July! Sky's Fireworks is available to buy now. 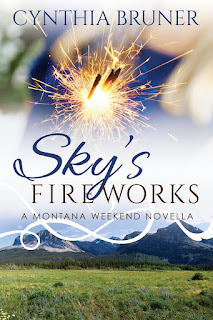 Will you be reading Sky's Fireworks? Let me know in the comments below! As you may remember, I worked with Snapfish earlier in the year and reviewed some of their products with a summer theme. 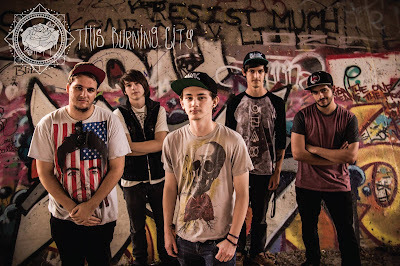 If you missed it, you can catch it again here. Now, I've been lucky enough to have been asked to work with them again. 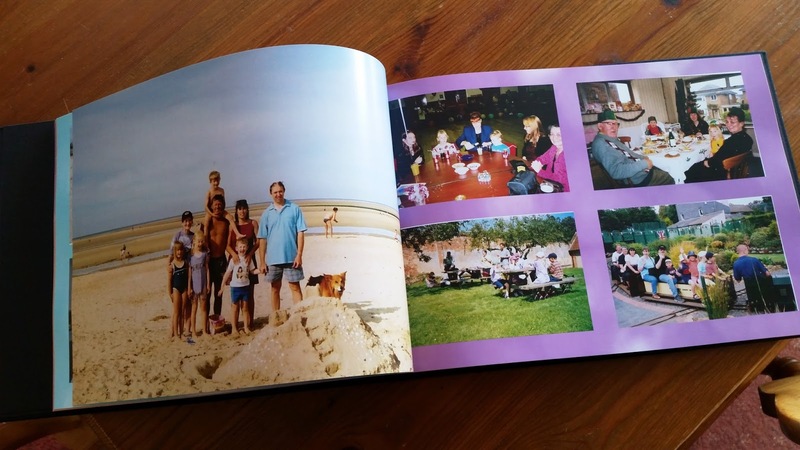 This time the focus is memories and celebration - inspiring people to celebrate their memories through beautiful photo books, personalised gifts, and home décor. It's all about using photography to relive special moments, and simply telling a story. The story my product tells is very simple. It's a life story. Family is one of the most important things in life, and what better way to celebrate it than through pictures remembering precious memories. 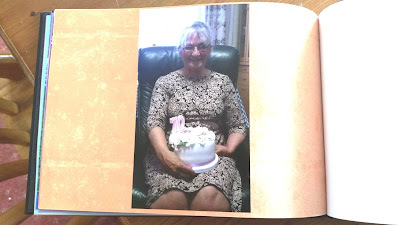 As luck would have it, this year marked my nan's 70th birthday. Therefore I decided to create a photo book featuring pictures from some of our moments together to make a truly memorable gift for a landmark birthday. I chose photos from all 21 years of my life and sorted them into an (approximate) chronological order. 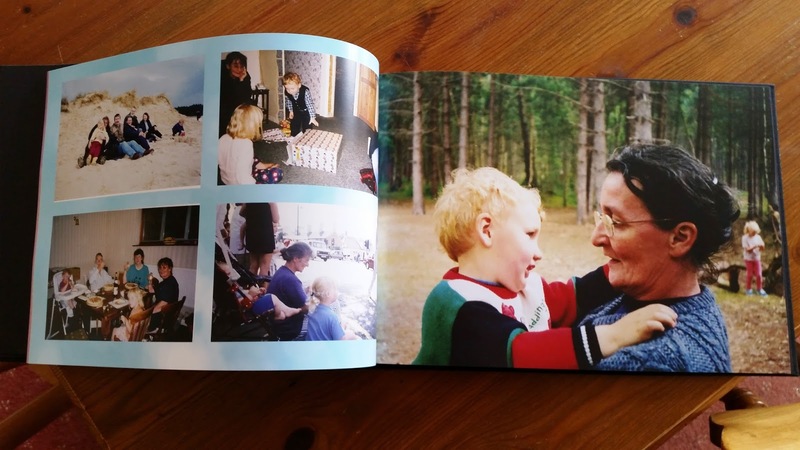 This way the narrative of our life stands out and weaves the photos of the book together. That was definitely the most labour intensive project I've done so far from Snapfish, as I had to sort through all our old family photos in order to find the best ones (and we have a lot of photos, so this took a long time!) I also had a bit of a struggle trying to find photos with both me and my nan in. Neither of us are particularly fond of the camera, so photos with the two of us in seem to be a lot rarer than I'd originally thought! When I had eventually selected enough appropriate photos, I then had to scan the older ones in to get them onto my computer so I could add them to the photo book. That sounds complicated, but it's nowhere near as hard as it sounded! Then came the design. I chose a classic photo book with a hard cover, because I thought it would prove more durable than the soft cover one I designed for my last Snapfish review. 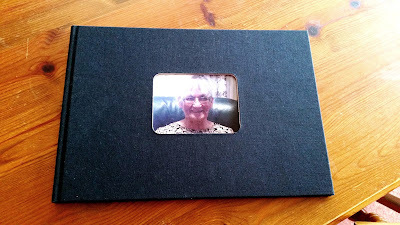 I also liked the cut-out cover (above) because it allows you to personalise it in a classy way - perfect for a gift. The layout was simple - photos in chronological order, interspersed pretty equally between several photos on a page in a grid pattern and single stand-out photos dominating an entire page. Again I elected not to include captions or quotes because I wanted to keep it simple and let the photos speak for themselves. I'm really happy with the finished product. All the photos printed beautifully and were nice and sharp and clear, even the scanned ones look just as good as the later digital photos. When I gave it to my nan she was really happy with it too. She said it brought back many memories from over the years, and she spent a long while looking at all the photos. 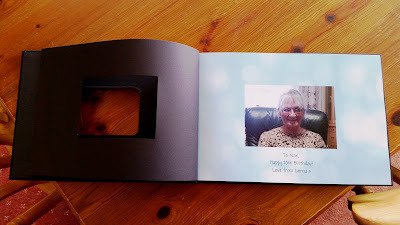 The Snapfish photo book was a success all round! Have you used Snapfish before? Will you be using them in the future? Let me know in the comments below! 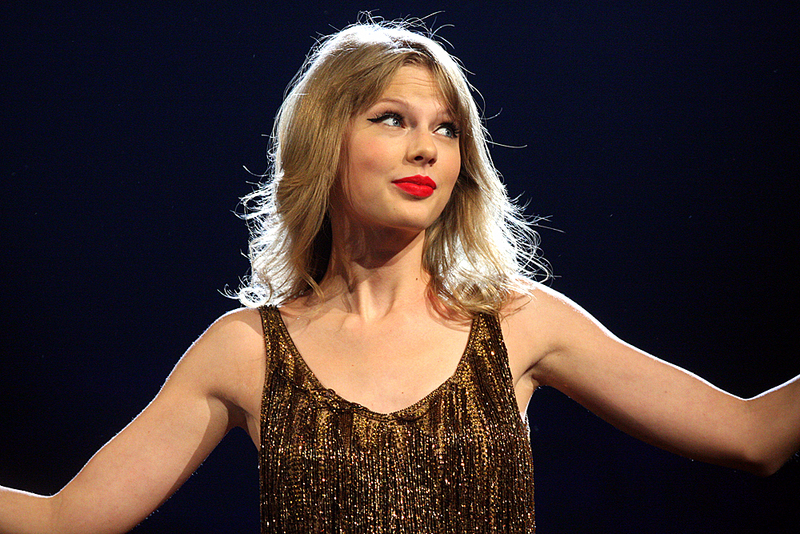 Taylor Swift is one of the most talked about people in the music industry right now. Whether you love her or hate her (how could anyone hate her?) you can’t deny she’s everywhere at the moment. Taylor first made her name as a fresh-faced 14-year-old carving out a career for herself with her heartfelt lyrics, pop-country vibe, distinctive vocals, and trademark curly blonde hair. Her debut self-titled album was released in 2006, firmly establishing her as a country star in her own right. The third single from the album, ‘Our Song,’ made her the youngest person ever to have single-handedly written and performed a number 1 song in the Hot Country Songs chart. But that was just the beginning for the rising star. Two years later Taylor released her second album, Fearless. My personal favourite of her albums to date, Fearless went on to become the best-selling album of 2009 in the United States. It also won her 4 Grammy’s, including making her the youngest ever Album of the Year winner. Dairy products are a part of most people's everyday lifestyle. But do you think about where your dairy products are coming from? AHDB Dairy is a non-profit organisation working on behalf of the UK's dairy farmers. As you may be aware, there are currently lots of problems facing the dairy industry at the moment, which is why now is the perfect time to push for change in the industry. The increased media coverage surrounding the issues means that more and more people are showing an interest in ensuring farmers are getting the right value for their produce. This is great - but the more people that are made aware, the better. This is where we come in. Supporting fair, sustainable dairy farming not only protects farmers, but it also helps to preserve our countryside. And the best part is - anyone can be a supporter. That's why AHDB Dairy have launched the #DairyPromise initiative. But what is the #DairyPromise? It's simple. Next time you buy your regular dairy products, just look out for a quality logo such as the Red Tractor. These show you that the food you're buying is food you can trust. To show your commitment, AHDB Dairy also encourage you to take the #DairyPromise online. All you have to do is click through and agree to look out for quality logos on your dairy products, then simply submit your email address to ensure you're signed up. And - even better - if you need an incentive to sign up, the #DairyPromise is also running a supporting prize draw. Everyone who takes the #DairyPromise and submits their email address before 14th September will be in the running to win a brilliant overnight stay at a dairy farm for you and three friends. You can find more details about the prize draw and the farm stay here. So what are you waiting for? Go over and take the #DairyPromise - I have! Have you taken the #DairyPromise? Let me know in the comments below! * I received an ARC of this book from Netgalley in exchange for an honest review. Then Maggie's whole world is turned upside down. Somehow, incredibly, she can see again. But only one person: Ben, a precocious ten-year-old unlike anyone she's ever met. Ben's life isn't easy, but he doesn't see limits, only possibilities. After awhile, Maggie starts to realize that losing her sight doesn't have to mean losing everything she dreamed of. Even if what she's currently dreaming of is Mason Milton, the infuriatingly attractive lead singer of Maggie's new favourite band, who just happens to be Ben's brother. On Goodreads, I gave this book a 4-star rating. If given the option, I'd easily have rated it 4.5 stars. But I just couldn't bring myself to give it the full 5 stars. As you'll know by now if you're a regular reader of The Writing Greyhound, it's very rare for me to give a book a 5-star rating. It's even rarer for me to give a 1-star rating, but that's a whole different story. To put it into perspective, to date I've read 440 books. Of those, only 24 have made it onto my prestigious Goodreads favourites shelf. So if my maths is right (which it probably isn't - maths was never my strong point) that works out at about 1 book in every 18 I read. Then consider that I average about 30 books a year (although recently that number has been increasing). Taking that into account, on average only 1-2 books a year will make it onto my favourites shelf. In short, it means a book has to be really really good to get on my favourites shelf. And sadly, The One Thing didn't quite make the grade. That's not to say it wasn't good or I didn't enjoy it, because I did. And it was good - achieving a 4.5-star rating is pretty damn good in its own right. There was just something missing which made me hesitate over that final half-star. But what was it? That's the tricky part. In most books I can put my finger directly on the parts I didn't like, but for some reason it's a lot harder with this one. Maybe it was because the main character, Maggie, grated on my nerves at times. Maybe it was because we never really got down to the reason behind why Maggie could see certain people. Maybe it was because the pace didn't seem exactly right to me. Or, more likely, it was a combination of all three. But that's enough negativity for the time being. I really loved the concept. It was new, unique and exciting, and that reason alone really got me hooked on the story. It was one of those books I had to finish reading before I could move on with my life - the suspense was killing me! It was a mixture of the romantic suspense between Maggie and Mason, in conjunction with the suspense of all the other elements of the story all wrapped up together. It seemed that virtually every element of the story was a ticking time-bomb just waiting to be set off at the first opportunity and, predictably, they all got set off at the same time. That made for a really intense ending! On the flipside, parts of the story were so beautifully written - subtly conveying the strong emotions that held the story together. There were two parts in particular where I started to well up - the incident with the dog, and the climax of the story at the hospital. It's impossible to explain these more without giving away spoilers, so you'll have to read it yourself to find out what I mean. Although Maggie had her irritating moments, on the whole I really enjoyed her story. The way Curtis writes allowed me to see the world from a blind person's point of view. A bit of an oxymoron I know, but as a sighted person you don't always think about how even the most everyday mundane tasks would become near-impossible if you lost your sight. Plus the friendship between Maggie and Ben was really sweet. At first I was worried I was going to find Ben little more than an annoying plot device, necessary only to allow Maggie access to Mason. But as it turned out, I ended up really liking him. The fact that he isn't defined by his disability was lovely to see, as was his maturity for his age. The scene towards the end where the brothers take Maggie to see the stars was just so incredibly touching and sweet, and for that I couldn't help but love Ben. The good parts of the book far outweigh my few slight criticisms, and this is definitely looking like one of the best YA books to be released this autumn. Also, look out for Marci Lyn Curtis - I'm expecting to read a lot more from her in the future. The One Thing is available to pre-order now. 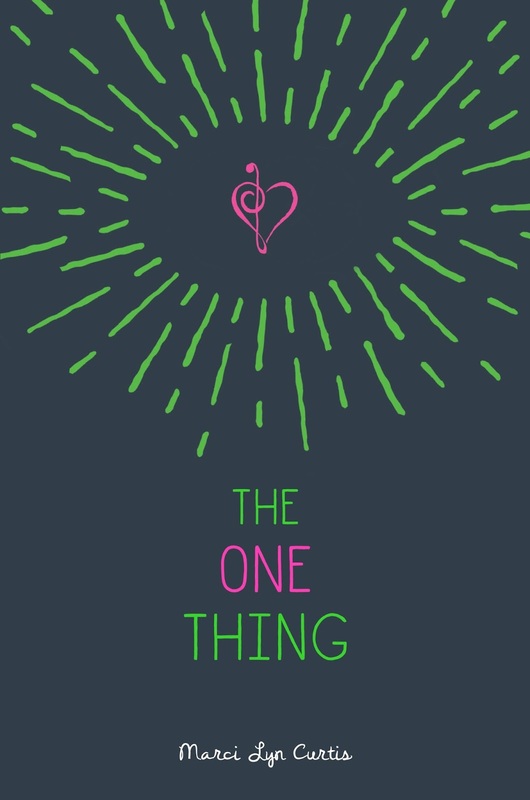 Will you be reading The One Thing? Let me know in the comments below! When a ruthless American racketeer turns up, the peaceful village's way of life could be ruined forever. But will other visitors - Piper Pines, seeking news of her long dead Portuguese mother, and Leo Shine, bereft of a father and brother accused of terrible crimes - help or hinder his objective to drag Luminosa into the twenty-first century? This was my first Susan Roebuck book, and seeing as I won the book in a giveaway (thanks to the lovely people at DarkWorld Books) I really had no idea what to expect. I hadn't even read the blurb - I literally just opened the book on my Kindle and started to read. And the book hooked me instantly. Susan Roebuck has a way with words - her descriptions aren't overly long and don't drag on (I'm looking at you, Victor Hugo) but they immediately take you to the places she's writing about. She manages to capture the feel of the places and translate them across to the reader brilliantly. I've never been to Portugal or Alaska, but now I've read Rising Tide the two seem so familiar. I do know the Norfolk coastline though, and Roebuck has managed to capture its beauty perfectly. And coming from someone who loves that part of the world more than almost anywhere else, that's got to be high praise. 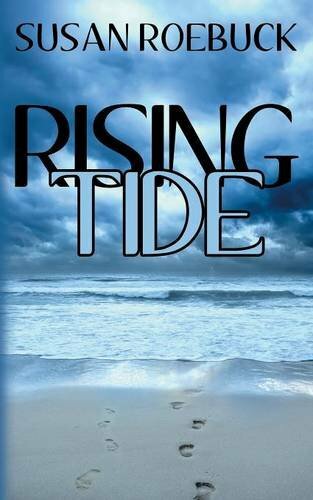 Apart from the great descriptions, the characters are Rising Tide's other strong point. The two main characters, Piper and Leo, come from opposite ends of the world, yet are more alike than they initially realise. I really liked both of them and found myself willing them to get together for the majority of the book! In fact, thinking about it, there was only one character in the whole book that I didn't like (and the least said about her, the better). Even the 'baddies' had redeeming features, and they were definitely all strong characters. The overall storyline of the book was good, and I enjoyed it. The beginning hooked me in right from the start, and things only got more interesting as we moved to Portugal. But then things started to lose their spark. I felt the story got a little lost around the middle and also lost its pace, but luckily things picked up again before the end. Some parts were also too unbelievable for my liking. I'm not talking about the slight magical - for want of a better word - elements, because I liked those and I would have preferred to have seen them explored more (why could Piper see the colours in the water; why could Leo sense the sea's moods?). I mean the whole coincidences of it being the Fletchers that Piper took to the airport, the likelihood of Piper and Leo being in Luminosa at the same time, the fact that everyone seemed to be related... This isn't to say I didn't enjoy it, because I did, quite a lot, but I just would have liked it more if these parts had managed to fit in better with the tone of the rest of the book. But in all seriousness, this book is worth reading for the quality of the descriptions alone. Considering I'm not really a visual reader, the fact that I could see the places and the people in perfect detail in my mind's eye while reading goes a long way to showing Roebuck's worth as a writer. 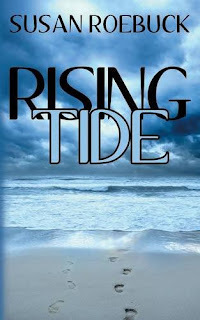 Rising Tide is available to buy now. Will you be reading Rising Tide? Let me know in the comments below!